“We told him our customers trust our products precisely because our farmers don’t have certificates but are part of our trust-network. 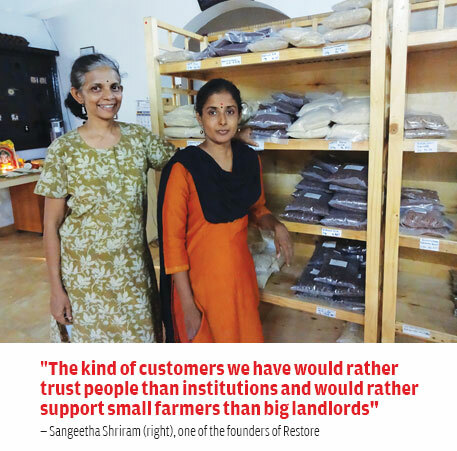 The kind of customers we have would rather trust people than institutions and would rather support small farmers than big landlords and industrialists,” says Sangeetha Shriram, one of the founders of the store. The incident ended with the bemused official handing them their licence and buying a few products in the bargain. One of the main bottlenecks in marketing organic food is certification – for all farmers it is a hassle, for small farmers it is an expensive task. And for customers, certified organic food means a premium price that is unaffordable. But is organic certification the best way to get trusted organic food? Farmers, agriculture activists and those involved in marketing organic food think it is not. That is perhaps the reason several cities in India are seeing the rise of community-supported organic food marketing endeavours. The best way to get authentic, trusted organic food, say those who deal in it, is to establish close contact between procurers, consumers and farmers. Restore, which has virtually become a household name in Chennai, relies on this practice. Farmers on their part also feel that selling food on trust works better. Dheeraj Pipada, farmer from village Wadgaon Kolhati in Aurangabad, Maharashtra, agrees. “Unless you are a really big producer company who wants to sell to corporates or go for exports, trust works better than certification.” Pipada is part of a group of 12 farmers who has started their own organic shop, Rich & Fresh, in Kothrud, Pune, two years ago. Pipada’s group has certification under government’s Participatory Guarantee System (PGS) that certifies all crops grown organically on the farm and provides each farmer with an individual certificate. Pipada says big procurers often do not trust PGS and prefer certification from private agencies which costs up to Rs 30,000 per year. Arti Pankharaj of the Centre for Sustainable Agriculture, who is helping farmers in Wardha, Maharashtra, convert to organic, says that nailing down cheating is difficult. “In our area farmers mostly go for PGS but even fellow farmers in a group find it difficult to tell when one member is cheating.” She thinks consumers are better off with trust chains. “A committed farmer will not cheat because she will find organic cultivation beneficial too,” she says. One problem with certified organic food is that it becomes a premium niche product sold in swanky upmarket outlets out of the reach of the middle class. One of the main reasons trust marketing endeavours are succeeding is that they have managed to keep prices reasonable. The stability in price also helps both farmers and consumers plan their production or spending more effectively. Any marketing endeavour’s success depends on consumer acceptance, and trust-based enterprises are proving their mettle on this count too. Restore, in existence since 2008, has a turnover of Rs 1 crore. Nalla Keerai and Rich & Fresh both do business worth Rs 3-4 lakh per month. Kavitha Kuruganti of Alliance for Sustainable and Holistic Agriculture, a federation of organic farmer groups in India, says while it is not possible to get realistic estimate of the number of farmer groups and endeavours involved in trust-based organic food marketing in the country, numbers of both farmers and consumers are certainly growing. Bravo! Your work continues to restore our faith in humanity. I hope to see more such efforts in other cities. 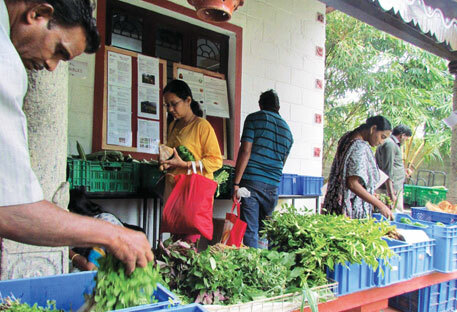 In Mumbai there is a decent supply of certified organic food and comparatively less connection with the farmers and the farms. We should build on the general awareness regarding sustainable agriculture and take it a step further towards truly community supported agriculture that connects with the small farmers. Wendell Berry said that eating is an agricultural act and Restore makes it easier for people in a city like Chennai to support the kind of agriculture that will restore health to our communities. reStore recently told it will be going to do away with plastic packaging and so expects customers to bring their own containers. But the image in the article shows otherwise. Can the glorious enterprise explain this discrepancy? Bravo.. Kudos to ReStore and continue the good work..